The list of educators, psychologists and brain researchers who have dissected and diagnosed the failure of America’s schools is endless. The modern homeschool movement was pioneered in the 1960s and 70s by brave souls who refused to accept the lock-step rigidity of our public-school system. They were studied by a few academics like John Holt, Dr. and Mrs. Raymond Moore and Dr. Ruth Beechick, who saw great value in this new and revolutionary way of educating children. All of them had spent decades inside America’s schools and knew their faults. They were intrigued by the unorthodox style many homeschoolers adopted, studied the results and produced more than a score of books to encourage and help us do the same. Within a few years, many others, including Dr. Mary Hood, John Taylor Gatto and David and Micki Colfax contributed volumes to the homeschool bookshelf. These authors were all very different, but the common thread in all their writings is the idea that ordinary parents can do much better than the schools and should not look to the education establishment as the ultimate authority on learning. Since all of us were products of school, public or private, these ideas took time to sink in. However, since in the early 1980s it wasn’t easy to get standard texts for our children, most of us were forced to teach our children outside the box. Many followed closely the educational philosophy of Dr. Raymond and Dorothy Moore who developed The Moore Formula from their observations of homeschooling families. They advocated delaying formal schooling until at least age eight and incorporating real work and service projects into the “school” day. These ideas sounded radical at the time and they probably still sound radical today. I encounter very few homeschool families who follow this advice, even though the fruit of that out-of-the box homeschool tree has been spectacular. I suspect that fear is the main reason so few homeschool parents today will step off the well-beaten but booby-trapped path of conventional schooling. Though there is still opposition in some quarters, homeschooling has gone mainstream. Most of the public recognizes it as a legitimate alternative and thousands of companies have targeted homeschoolers as an emerging market. Where we had to improvise out of the local library and teacher supply store, homeschoolers today are bombarded right in their homes with e-marketers hawking every kind of educational material and program known to man. Type homeschool into any search engine and you will be presented with a vast array of charter schools and products, all of which are “guaranteed” to provide easy homeschool success. Beware. The average homeschool family lasts for two years. Many others persist by repeatedly changing curriculums, programs, co-op classes, charters or Private School Programs. 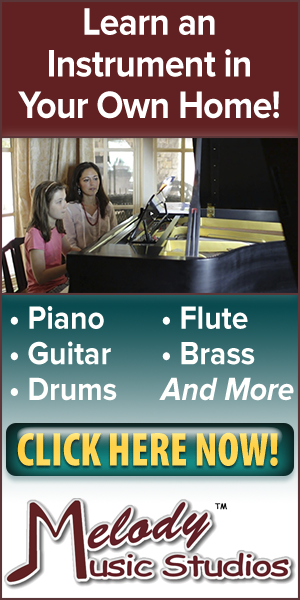 They are looking for the perfect homeschool path, but it is often illusive. There can be many reasons for this, but after observing successful, as well as struggling, homeschool families for several decades, I believe that most problems stem from the mistaken assumption that the public schools provide the proper model for curriculum. The truth is that they provide a near-perfect model for educational failure. You don’t have to take my word for it. Read award-winning teacher, John Taylor Gatto’s Weapons of Mass Instruction, Dr. Raymond and Dorothy Moore’s Better Late Than Early or Dr. Jane Healy’s Endangered Minds. The list of educators, psychologists and brain researchers who have dissected and diagnosed the failure of America’s schools is endless. As a former public-school teacher, I never wanted to copy anything the schools did and it has always astonished me that so may parents will reject the public schools only to strive mightily to “keep up” with them. As John Taylor Gatto has said, “The schools are anti-human.” Children cannot be put on a conveyor belt, rigidly scheduled, force-fed thousands of bits of information to be regurgitated on command and then be expected to think and use that information intelligently and creatively. Our schools actively seek to repress creativity and independent thought. They endanger children’s minds by presenting abstract concepts long before the developing brain is ready for them, often creating neural roadblocks. They force inactivity and close visual work on very young children who should be developing visual skills, large and small muscle coordination and balance, with active and creative play. Each child is a unique human being with a unique learning style, talents and interests, as well as developmental schedule. We don’t expect all children to walk at 11 months of age. Why do we expect all children to read at 5 and multiply at 7? A half century ago, children were not expected to read until age 6 or 7 and multiplication was introduced at age 9. There are other pitfalls with copying the public schools. They major in the minors. School today is all “academics” with little time or value given to anything else. Art, music, drama and all things creative are shoved to the sidelines — if they are provided at all. Thousands of hours are devoted to busy work, which has little, if any, real intellectual value. Dr. Moore once said that it takes about two-and-one-half years to prepare for high school. I didn’t believe him at the time, but I saw with my own eyes how right he was. You see, once you can read, write and cypher, there is nothing you cannot learn. Once the student is ready to learn, it takes only a few hours of instruction to learn to read (about 20 hrs.) and learn all of arithmetic (about 30 hrs.). Since we start way too early today, it takes much longer to learn these basics. Our schools, and that includes Charter Schools, are also obsessed with standardized testing. The conveyer belt includes shackles to be certain that no one escapes. Since the new tests are Common Core aligned, one must adhere to the most absurd curriculum ever devised to torture children in order to feel marginally comfortable with the tests. The fact that these tests have NO bearing on any future opportunities and have NO academic value, is not well understood by the average teacher, let alone the vast majority of parents. Thus, these tests, written by psychologists, not teachers, drive the curriculum for all traditional schools, public, private and charter. Instead of learning in the real world, too many homeschool families follow this model and push too much too soon, often with inappropriate methods from mind- numbing textbooks and/or online courses. Sadly, because this developmentally and educationally inappropriate content takes so much time, students have little time left to learn from family life, play, travel, work and creative activities. Dr. Moore said that every child should create and/or work in some sort of business, depending on the child’s age and abilities. He recommended starting small businesses or working within a family business. This teaches many things ranging from economics to personal relationships, not to mention reading and math. A child who wants to earn a profit will be willing to learn the math necessary to avoid a loss. Dr. Moore also recommended spending a third of one’s time on service to others. This could mean helping an elderly neighbor with a chore like yard work, or carrying in groceries. It could be volunteering at a local charity, church, community center, community theater, nature center, or nursing home. There are thousands of ways to help others in need and each provides a valuable learning experience. Our society is obsessed with paperwork and test scores, but too much paperwork might even lower test scores by limiting the volume of reading and stifling opportunities for thought and creativity. Where children used to write three short sentences for a third grade assignment, they are now told to write a “research paper.” At the same time, they are not taught penmanship, so the act of writing becomes difficult and tedious, especially for little boys, whose small muscle coordination lags behind girls’ by many months. Starting academics late as Dr. Moore advised or slowing down the pace of studies to a more developmentally appropriate schedule will do a lot of good for young children, but formal academics shouldn’t be the exclusive focus if you want a truly educated and competent child. In his Moore Formula, Dr. Moore recommended spending no more than a third of your time in formal academics. He also warned against packaged curriculums and advocated reading a great number of real books instead. When you allow much more time for work, service, exploration and the development of talents and interests, students have a chance to acquire useful skills and see how their academic studies are useful in real life situations. This will sound to many, like an abandonment of “rigorous standards” but as I learned over many years of watching homeschoolers create their own educational pathways, the Moore Formula is the most rigorous standard of all. Students who devote significant time pursuing a passionate interest, have real direction and develop excellent work habits. They do not finish college or even grad school, only to discover that they hate the career they spent so much time and money to prepare for. They know how to function independently in the world among a diverse population. They have already experienced setbacks and roadblocks and have learned to pivot to a new course of action when necessary. These are vital skills that no textbook can teach. In short, don’t major in the minors. Academic skills are only the beginning and they don’t take as long to acquire as a standard time-wasting school curriculum will demand. Never confuse wisdom with knowledge. C.F.